But residents in King’s Cross and Bloomsbury insist they will be the big losers in the row, predicting that heavy traffic serving King’s Cross will be diverted into their streets, and then towards Dukes Road – the scene of a litany of "near-misses" and the death of Mark Welsh, a 55-year-old who was hit by a lorry turning left last year. John Hartley, from London Living Streets, said the changes would "open up the area" to people who cycled, improving air quality, and John Chamberlain, of the Camden Cycling Campaign, said the scheme would be the "final missing link on the route from Kentish Town to Elephant and Castle", adding: "It will reduce traffic levels and therefore improve air quality in the area south of the Euston Road." But Debbie Radcliffe, chairwoman of BRAG, said: "There is a persistent argument that the removal of motor traffic improves air quality. But the pollution doesn’t go away, it just moves somewhere else. And the more you slow traffic down, the more pollution levels increase." She added: "We applaud the council’s transport policy to prioritise pedestrians and cyclists in the hierarchy of movement. But these same pedestrians and cyclists will be exposed to the increased pollution that is displaced elsewhere." 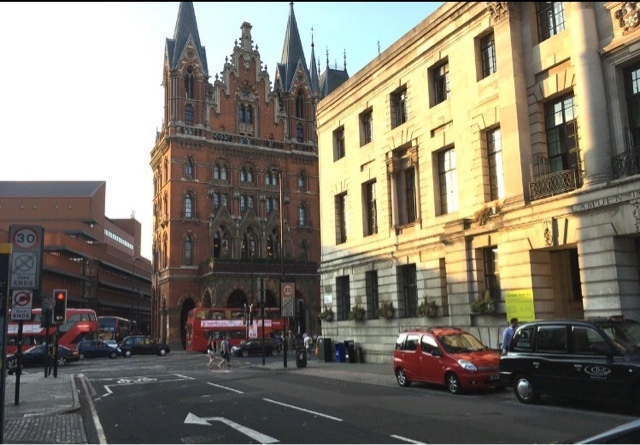 Ray Allesson, an RMT trade union officer representing the black cab trade, said access to Judd Street was "vitally important" because taxi drivers often ferry people between Bloomsbury’s hospitals, and the Royal National Institute for the Blind. A council spokesman said: "The new space at the top of Judd Street will make it safer for pedestrians and cyclists to cross Euston Road. There will also be a new pedestrian crossing outside the British Library." He added: "Anybody who has tried to cross Euston Road at Midland Road/Judd Street junction will know how difficult this road is to get across – this is a key reason for deciding to make these changes. This will also improve cycle links between Euston Road and central Camden by introducing raised cycle lanes along Midland Road." Should Camden even be doing this with the Tavistock Place scheme discredited in its present form by Public Inquiry and awaiting Camden's proposals to resolve those issues? The dynamic will no longer be the same. This #EliteCapture by these articulate know-nothings is cult like.